EMERYVILLE — J-Sei, located at 1285 66th St. in Emeryville, will hold a community open house on Saturday, May 13, from 1 to 4 p.m. Enjoy lively entertainment by Oh-In Taiko, Sentimental Strummers, Halau Ka Ua Tuahine, Genyukai Berkeley, Minyo no Odori and more. Plus a quilt show of works by Mieko Taketa, more creative artistry by J-Sei’s seniors, great food by Abura-ya and Berkeley Bowl, and a sake toast. J-Sei is pleased to announce its move into its new Emeryville home, where it now offers expanded programs and services. Whether you’re interested in learning a new dance, hearing a lecture, or having a meal with friends, drop by for a visit or sign up for one of J-Sei’s many programs. 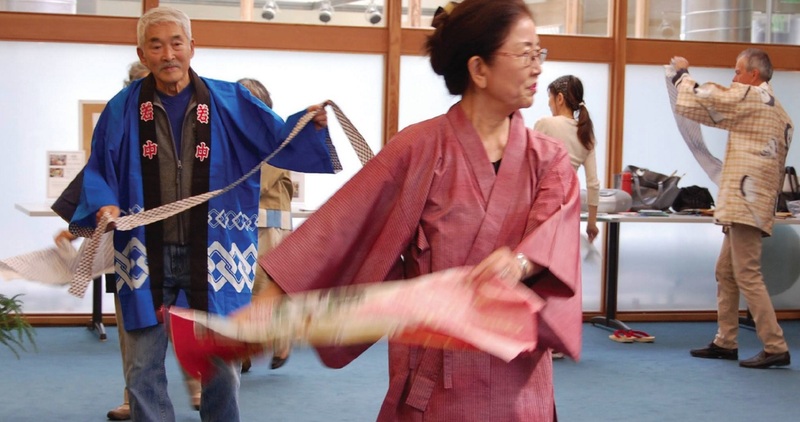 Upcoming programs, events and classes include Exercise for a Long and Healthy Life on May 15 and 22 at 1 p.m. and Healthy Japanese Cooking: Season of Summer on June 2 at 10 a.m. and June 3 at 11 a.m.
For more information, call (510) 654-4000 or visit www.j-sei.org.